Being a dedicated fan of a band or artist often means you are on a ceaseless hunt to collect everything ever published by your idol. I like to consider myself above and beyond such groupie-like nonsense. But… The other day something made me – a seasoned man – scream out like a hormonally imbalanced teenage girl. 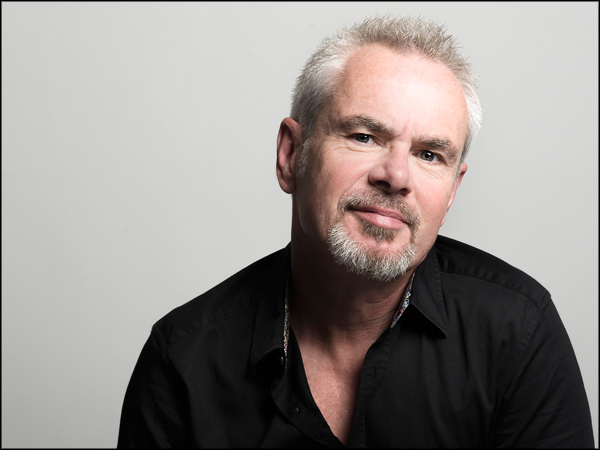 I am a passionate fan of the British singer-songwriter and producer Nik Kershaw. There, I said it! During the 80s I thought he was fairly cool. But it wasn’t until 1994 when a sound engineer I know used Kershaw’s album ‘The Works‘ for sound-check, that I realized just how unique a musician Kershaw is. Since then, I’ve attended several concerts and collected every song ever published by this pop wizard. 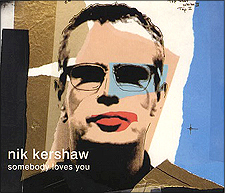 Suddenly, while ingesting my Saturday morning roll with cheddar I struck upon a Nik Kershaw tune I had never heard of before. And, mind you, you are dealing with a fan who desperately wrote Tony Hawks personally to get a copy of the ‘Round Ireland with a Fridge‘-soundtrack, to get his hands on Nik’s contribution ‘If it gets much better than this‘. There!.. on YouTube! Not one, not two, but several songs I have no recollection of suddenly appeared out of nowhere. Some clearly of newer origin – some obviously from the late 80s/early 90s. I got a grip of myself and started my frantic search in online music stores and later among more dubious “wholesalers”. After half a day of very creative Booleans I located most of them as extremely rare b-sides to various singles. For instance the song ‘When I Grow up‘. It came out as a b-side on the smash-hit single ‘One Step Ahead‘, which was the first from the album ‘The Works‘. Shortly after a second song ‘Elisabeth’s Eyes‘ was released as a single – this time featuring the song ‘My Friend John‘. None of the songs were released anywhere else. Other songs were from Nik’s second era (from 1998 to present). And this was the toughest pill to swallow. Songs I really have no excuse for not purchasing as they were released. How can I even continue living?! The 1998 hit ‘Somebody Loves You‘ (the first single to enter the charts since ‘One Step Ahead‘ in 1989) came out with no less than two other songs – ‘The Wrong Man‘ and ‘Woman‘ – none of which featured on the album ‘15 minutes‘. 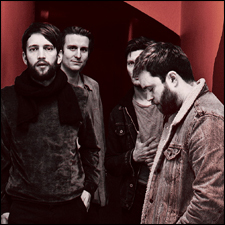 However, ‘Woman‘ also featured on the single ‘What do you think of it so far‘. And then from the 2001 album ‘To Be Frank‘ came the single ‘Wounded‘ featuring another two nowhere-else-released songs – ‘They Said‘ and ‘Food for Fantasy‘. Both two fantastic songs surely meant solely for the pleasure of the geeky fans exclusively. A few other songs appeared that I simply couldn’t find references to anywhere. Frustrating! But after consulting Shorthouse Records (Nik’s label) I learned, that these particular songs were indeed previously unreleased material – probably published by someone with apparent access to old master- or demo recordings. Shame on them! Anyway, thought I wanted to share my happy findings. And PLEASE let me know if you find other rare releases by Nik Kershaw. Thanks! This entry was posted on Monday, April 18th, 2016 at 8:38 pm	and is filed under Music - misc. You can follow any responses to this entry through the RSS 2.0 feed. You can leave a response, or trackback from your own site.